2 Beds 2 Baths 1,209 Sq. ft. Location and Luxury! This beautiful 2-bedroom, 2-bath unit is one of the largest floor plans located in the upscale condominium residences of Bella Villino; the Mediterranean influenced community with a gated entrance and resort-style amenities located in the Palmer Ranch area and minutes from the world-renowned Siesta Key Beach. 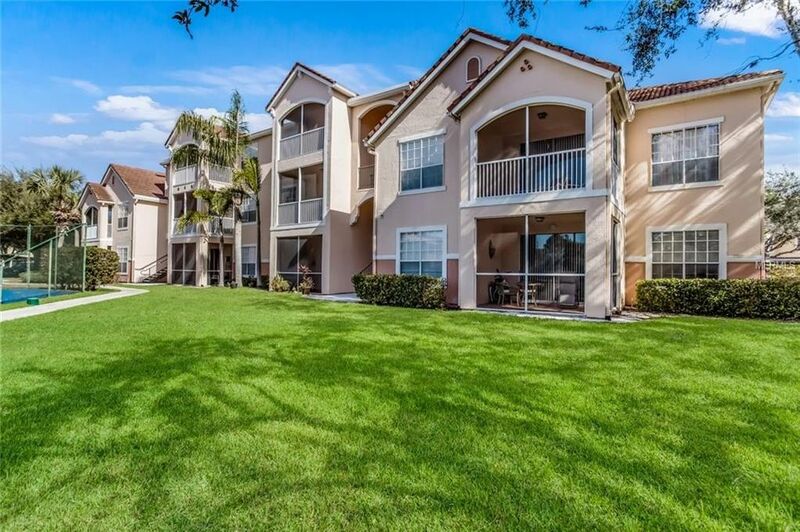 A gorgeous, fully appointed clubhouse, sparkling heated swimming pool and hot tub, fitness center with racquetball court, and numerous barbecue grill areas complete your upscale living experience. This accessible 2nd-floor unit boasts 2 spacious bedrooms, each with adjoining bathrooms, and a large, bright and luxurious living room with volume ceilings; all re-painted, newer tile/wood flooring and move-in ready. This exceptional unit includes quiet surroundings with preserve views, in-unit full sized washer and dryer and a covered, assigned parking spot. All within steps of the amenity-rich facilities. Great buy for 2nd home, first time or 1031 exchange buyers. Schedule your showing and make your offer now! Directions: US 41 to Central Sarasota Parkway turn W follow to Bella Villino go through gate and right at round aboutfollow to building 4142 and park at guest parking.